Research a neighborhood to find one that fits you best! Colorado Springs is a growing city. A large portion of incoming residents are military members and their families, while another part of new residents comes from the opportunity that Colorado Springs offers. 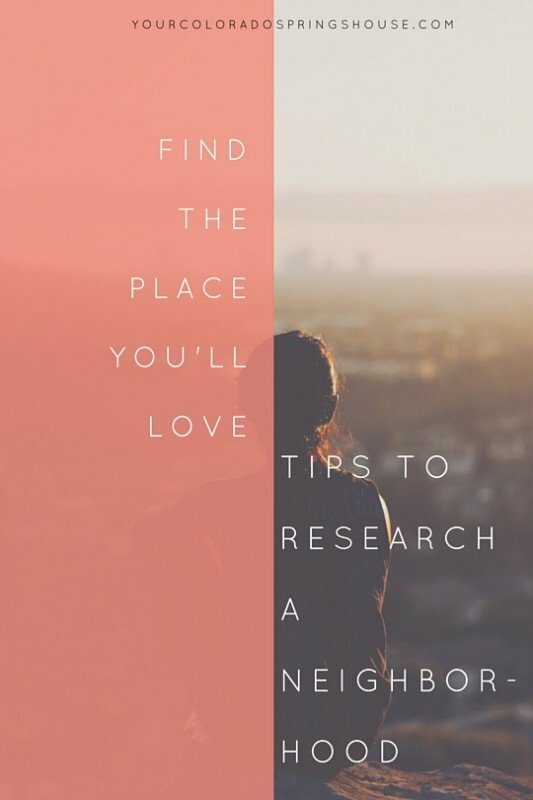 Research a neighborhood before you settle in. 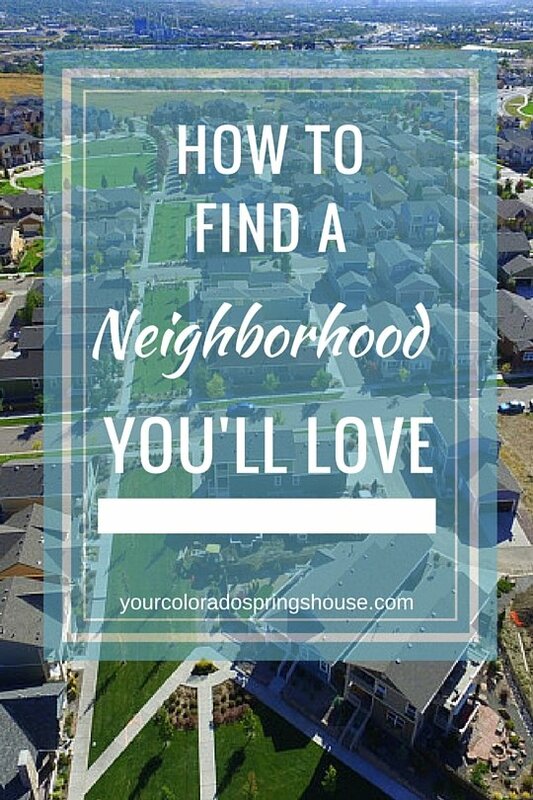 If you’d like to get a head start on your research, want to know as much as possible, and want to learn the details of Colorado Springs and its neighborhoods: where do you start? How do you determine where you want to live and where NOT to live? It surely is a lot of work. Luckily, you can do a lot of it from the comfort of your living room chair. Whether you’ll buy or rent, researching your new city, town, or subdivision is important. While there is a lot of research that you can do in regards to the house, condo or apartment you’ll be residing in, I will focus only on neighborhood resources for now. Ask ME! I will provide information to you and guide you through some of the “online jungle”. City-Data.com has some great general information for you to begin researching, especially if you are not in town and need to get an overall picture of the city. While it’s a lot to take in, this City Data Colorado Springs site gives you a lot of general information as a great starting point, and helps familiarize you with many frequently mentioned areas and landmarks in Colorado Springs. While you are on the website you might find lots of helpful information for detailed questions in the Colorado Springs City Data Forum. Other sites such as Neighborhoodscout.com , Moving.com, and Move.com have a lot of statistical information. A note on “walking score”: I noticed that what websites consider a good walking score is no necessarily my idea of a good walking score, so speaking with other people about it is very helpful. A look at Google Earth as recommended below will help you to determine parks and recreation facilities in the area. The city of Colorado Springs has a fabulous website to explore with lots of information. They recently switched to the new ColoradoSprings.gov so you will occasionally hit a dead link, but in general it’s a much better site than it was previously. Did you know that Colorado Springs has a Choice In option for your kids? You are not restricted to the school districts where you live but you can choose any of the public or charter schools in Colorado Springs as long as there is space available for your student. Though we have this Choice-In option for kids, home values and rental prices often reflect a districts rating. What kind of school is best for my student? Take a look at the Facebook pages of News and TV channels, as they have a wealth of information and ideas on their Facebook pages. The following links are a good starting point: KKTV News, KRDO News Channel 13, The Gazette Newspaper and the Colorado Springs Independent. Facebook: Simply enter the town, neighborhood, subdivision name into the Facebook search bar and you will get suggestions related to communities. Facebook lends itself to easy research as they have many users in ANY age range. Find communities here and ask your questions. Don’t forget to look for local interest groups as well (hobby, interest, activism): ie. “Special Needs Colorado Springs”, “Colorado Springs Photographers”, “Colorado Springs Yard Sale” and many more. 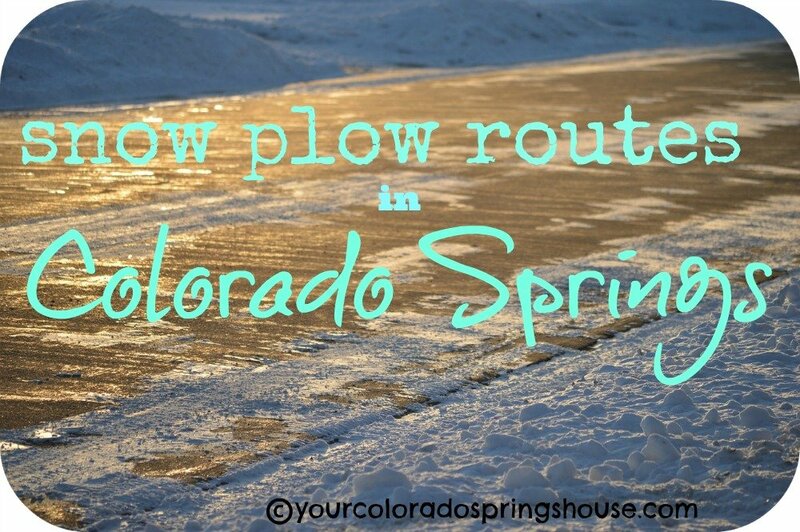 Check out our Moving to Colorado Springs Facebook group for great information about moving to our city. Reddit: Chances are you’ll have many millennials on this social media platform. Nextdoor.com: The problem here is you’ll have to sign in with a street address of where you live. This could be a helpful option if you already have a friend who is local and willing to let you use their address. Yelp – Find local hot spots. Tripadvisor – For local hot spots, sights, but also neighborhoods. Streetadvisor – Reviews of neighborhoods and streets. However, keep in mind that the reviews of individual streets only have one or very few reviews, therefore it might not be a representative sample. Definitely a great start to your research. How important is it to you that the new neighborhood is not very transient?  Ask you realtor to see how many homes have sold over the last 2 or 3 years. Which neighborhood is most conveniently located? Is access to highway close? Are schools close? Are there any traffic bottle necks? Check on traffic at various times via traffic cameras to find out. Would you like to know about environmental hazards in your area? The listed homes do not automatically need to be excluded, but it’s good to know that they are here and you can decide if this is a place you can live after your research. The most important resource in your research is actually the neighbors in the neighborhood you are considering moving into. Granted, that’s something that you’ll have to do when you get to your destination but it’s well worth it. Neighbors will tell you E-V-E-R-Y-T-H-I-N-G. Some of it you might need to take with a grain of salt, but you’ll hear the good, the bad and the ugly. Drive the neighborhood you are considering at different times during the day AND night. Particularly Saturday nights could be a good indicator on how things are in the area. How does the neighborhood “feel”? Is there good street lighting? Is it a primary snow plow road (This can also indicate lots of traffic)? Are there sidewalks? How is the walkability in your neighborhood? I found that the walkability scores really aren’t that accurate. It’s important to learn that while you are in the neighborhood. How far is it to you the next playground/school/grocery store? What is important to you when it comes to these comforts? Is quick access to highways and interstates important? If this is close, do you hear noise that would disturb you? Are there train tracks? If they are fairly close by, how loud are the trains and do they come all times of day AND night? Do you have a problem with power lines if they are close by? Amenities: Would you prefer a subdivision/neighborhood with a pool or other IN-neighborhood amenities? Do you prefer low maintenance? Especially if you are moving from a low altitude location to over 6,000 in altitude you’ll feel quite a difference. These are the Top 5 Effects and then there is more. Just know, that it’s normal and in most cases you’ll get used to it. When Will My Road Be Snow Plowed?